Gene X Hwang will be hosting his first IFPA Tournament which is a benefit for a program through which he mentors kids called First Exposures. Gene is a professional photographer and co-founder of Orange Photography. 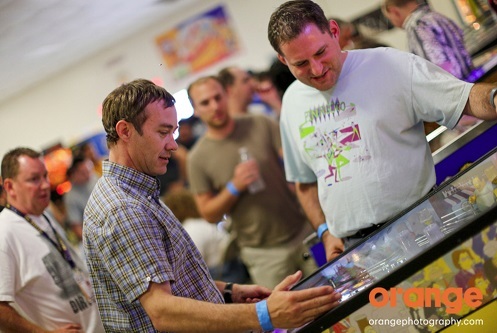 His arcade and pinball photos are some of the best you’ll ever see! When: Sunday, June 22 at 12 PM. How Much: $15. Additional donations appreciated. All games on free play. WPPR Points: This tournament will award full world pinball player ranking points. Current lineup: Tron, World Cup Soccer, Theater of Magic, White Water, Spiderman, Monster Bash, Fish Tails, Congo, Lord of the Rings, Star Trek LE and others. Games which may be used in the tournament may change without notice.